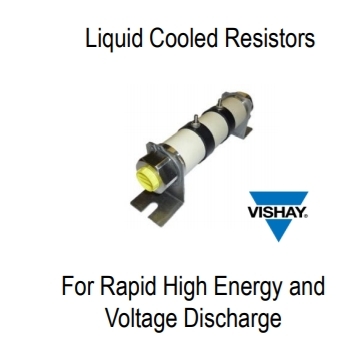 Vishay's capacitors are constructed using a reliable Noble Metal Electrode (NME) system of Palladium Silver (PdAg) and are fully qualified to meet the requirements of MIL-PRF-55681. 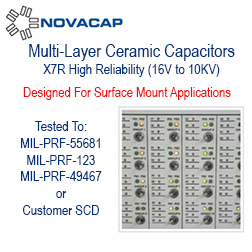 Available in a broad range of capacitance values. Featuring Long Life, Very Low Failure Rate, Low TCR, High Stability, Tight Tolerances used in multi-applications, such as Automotive, Power Generation, High Speed Train Control, and more. Plug & Play driver with integrated and galvanically insulated sense signals for SEMITRANS 10 and PrimePack modules with optical or electrical interface. Energy Storage Solutions for multiple applications: Grid Storage, Wind Farms, Solar Farms, Industrial and more. 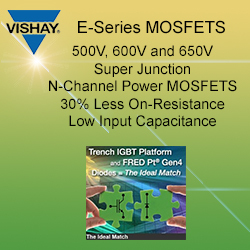 The first turnkey module capable of precisely measuring currents from milli-Amps to 1000+ Amps, while simultaneously measuring three high-voltage potentials (800 V nominal, 1000 V / channel max) accurately. 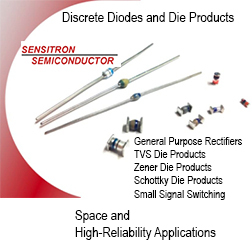 A leading manufacturer of high reliability power electronic solutions for Space, Aerospace and Defense markets. 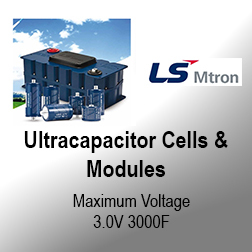 High Efficiency Low ESR Ultracapacitors and Modules. Very long lifetimes, rapid charge and discharge, no maintenance requirements and more. Ultracapacitors, or supercapacitors as they are also known, are an energy storage technology that offers high power density, almost instant recharging and very long lifetimes. New MC HP Series High Power Thin Film Chip Resistors Replace Larger Devices or Multiple Same-Size Resistors to Lower Costs and Save Space. Diodes and Rectifiers: eSMP Package Evolution. Applications for High Reliability products include medical implanted devices, aerospace, airborne and various military applications, and consumer uses requiring safety margins not attainable with conventional product. JANHC and JANKC bipolar transistors for high-reliability applications in military, aerospace, automotive, industrial and medical markets. Good-Ark offers products in wafer/bare die form to fulfill customer's demand for hybrid, chip on board and wearable applications. Skyworks, through its wholly-owned subsidiary Isolink, is the leading global supplier of high performance, high quality and radiation tolerant optoelectronic components for aerospace, defense, medical, extreme industrial and high-reliability markets and applications. We pioneered the miniaturization of some of the most advanced optoelectronic components that operate in full military and space temperature ranges (-55°C to +125°C) and beyond. Skyworks SC series of metal-insulator-semiconductor (MIS) chip capacitors are ideally suited for use as DC blocks in chip-and-wire hybrid circuits. 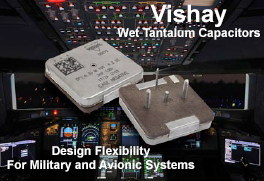 Addressing the needs of military and avionics applications, Vishay Intertechnology’s new high-energy wet tantalum capacitor claims the highest capacitance per voltage rating and case size for this device type.